We are so excited at the workshops being offered by EMLC members and our beloved friends at this year’s Turning the Tide celebration. Each workshop is included with registration to Turning the Tide. Please note that some workshops may run in parallel. You will receive a final workshop schedule at Tides. Entry to each of these workshops is INCLUDED with your registration to Turning the Tide 2017. Gentle raja yoga class for all levels. Bring a towel or mat, and an open heart. Namaste!. About Fig: Bio coming soon! Join us at the bank of the Oleta River as we open the faery well, raise the green mist, and align the three flames of our soul! We will start by introducing the principles and language of Faery Seership, and soon you will feel the connection and magick of the Faery Seers. About House of Brigh: The Florida Branch of the House of Brigh are practitioners of Faery Seership Teachings of Orion Foxwood, who utilizes traditional and contemporary faery lore to connect with the genus loci and our redeemed ancestors, among many other faery practices. Learn and explore the astrological cycles of Saturn. I will be doing a brief lecture of how Saturn manifest in our lives, and will also provide take-home handouts. Volunteers who wish to have a live reading of their charts in regards to their Saturn cycles can do so by providing your birth time, birth date, and birth location at the workshop. About Aequitas Aequitas is nationally certified Level 1 astrologer with NCGR, and has studied Western tropical astrology for over 10 years. He is a member of Beachfyre Coven and serves on the Board of EMLC. He is also working towards his first degree in the Georgian tradition. About Temple at the Crossroads Temple at the Crossroads is a devotional Circle of eclectic members dedicated to Hekate, who share their personal experiences, knowledge, and worship practices with one another. Creation: Manifestation of intention through will, energy and purpose. Giving the imagined corporeal form in the physical world. Explore the world of creation magic as an artform, through spiritual practice, visualization and conscious effort as we actively construct our magical intentions. Actualize your true potential and make it a reality IN reality. Take the first step in forging your new self as you cast off the mask of the past. Warning: This is NOT arts and crafts, and you WILL get messy, so bring a change of clothes. This is a conversational workshop that explores Orisha – who they are, what they do, and where they are from. The workshop also introduces how Orisha fit into the African Traditional Religions under various traditions. We also discuss the role of Ashe, character and offerings in relations to Orisha. About Qabal Qabal just is. 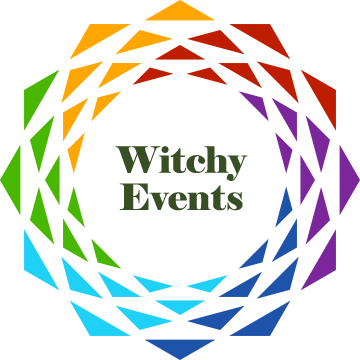 Explore sand sigils, working with tidal forces, sea magic in your home, and other ways of working with the power of the Great Water. About Coyote MorningStar Coyote Morningstar, a water warlock and sea witch of West Palm Beach, has been a proud member of Everglades Moon Local Council since its beginning, as well as a member of the Tides family for the past ten years. He is an initiate of the Morganic tradition of Wicca over twenty years and is a faery seer of the House of Brigh. All across the Roman Empire a common form of folk magick was the so-called ‘curse tablet,’ or a spell inscribed on a soft sheet of metal and then turned over to the gods. Often these spells were used to recover stolen goods, have success in court, or secure love. Formulaic incantations were scratched onto lead or tin by the petitioner and were part of asking local patron deities, especially liminal gods such as Hekate and Saturn, for assistance. In this workshop we will review some of the hundreds of actual tablets that have been found underground or in springs across Europe, and using their formulas for petitioning a deity, we will each make one of our own! Supplies provided, limited spots available. About Rayna Templebee Rev. Rayna Templebee is a daughter of the Ocean Mother and High Priestess of Beachfyre Coven in Miami, Florida. She was raised in a family that spoke with plants and initiated as a Witch in 1983. She is a faery seer and one of the founders of Turning the Tide Festival. The Gifts of Saturn – Help Craft Main Ritual! We invite all of our Turning the Tide family to help us craft invocations to Saturn to be used during our main ritual. During this time, we will discuss and meditate on the Gifts of Saturn: the Secrets of Plants, Opening to Living in Wealth, New Beginnings, and Ending Negative Situations. You will be invited to break into groups based on the gift that calls to you most. Maybe it’s an area you wish to strengthen, or one you have always been drawn to. Each group will craft their own invocation to Saturn to petition His guidance in that area. One person from your group will read the invocation during Main Ritual. About Alpandia Alpandia is a Seer and Strega living with her cats in South Florida. She is the “Hermione” of Casa Verde, the second Florida hosting of HoB. She volunteers as an officer of Everglades Moon Local Council of Covenant of the Goddess, handling its website and social media. She is also lead organizer of Turning the Tide! Introduction to Medicine Style and Animal Oracle Cards! This workshop focuses on animal oracles and teaches you how to use these cards and the different layouts used. This workshop will be taught primarily using either White Eagle or Medicine Hat Decks. Please bring your own White Eagle Medicine Cards, or other medicine card deck you have. I will use different decks in this category but focus primarily on the shapeshifter tarot, shaman tarot, and medicine hat medicine cards. About WanderingFreeSpirit I walk a path that truly has no name. Some aspects of my path do resemble shamanism, animism, and even some old folk magic paths. But in truth I don’t fit into any of these paths completely. Learn more about me at my website. If you have plants, seeds, or cuttings you would like to gift, please bring them to the Plant and Seed Share! Stop by to make new green friends. Learn what Florida-friendly plants your Tides family is growing. Please bring plants, seeds, cuttings, gardening tools or books to pass along. If you are interested in gardening come on by, you dont need to bring anything to go home with something. About Steve Steve grows edible perennials and wants to inspire others to do the same. Come explore the beauty that is Greynolds park! Venture beyond our small encampment and enjoy the sloping hills and wonderful energy that is Greynolds Park. About Aequitas Aequitas not only loves astrolgy, but is a nature buff, too! What is Everglades Moon Local Council, apart from the group that puts on Turning the Tide each year? Sit down with our board and members and learn about EMLC. We’ll discuss the work we do in Florida, our philthropic efforts, and describe why YOU would make a wonderful EMLC member! Applications to start the registration process will be available if you would like to start one. About EMLC Come sit down with us to find out more about EMLC!